I had another great run. This run consisted of 3 x 20 minute run with 10 minute recovery walk. Twenty minutes is the longest straight run since my Total Knee Replacement and an hour is the longest total time actually running. My total time and distance was 95 minutes and 9 miles, both new milestones. I felt incredibly well and no issues following. Next week I am going to decrease the recovery period to 5 minutes. I had a pretty good week of training. I did however skip my swim sessions, nothing new there, and I skipped a strength workout day. I was wore out from being out later than I should have been on Wednesday night so I didn't feel like getting up and getting my day started with a short workouts. ​I had two great cycling workouts. The Tuesday was basically a pyramid 4 x 8 minutes building from zone 2 to zone 4 and then back down all at roughly 50 rpms for one minute easy zone followed by one minute zone 1 at 90 rpms and repeat. It was a short ride but it was challenging. The second cycling workout was general endurance riding in zone 3 as 6 x 10 minutes. I was pretty ecstatic about my runs this week. 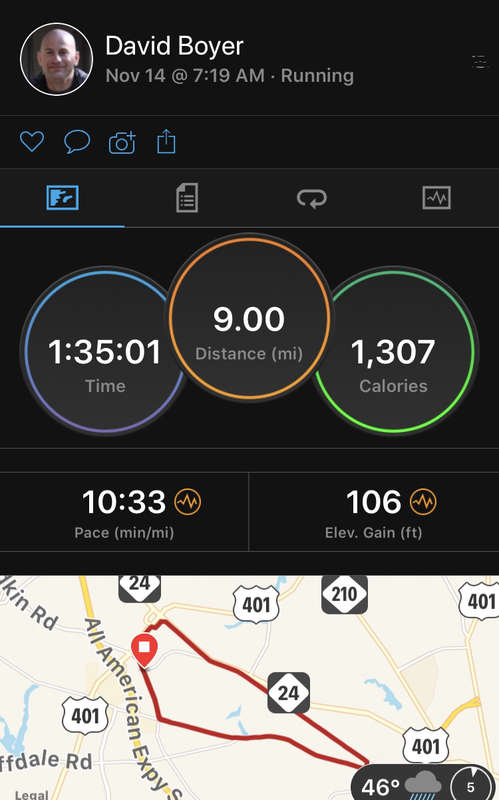 Wednesday I did my long run and did 8 miles which is the furtherest I have been able to go since my surgery. The run was 10 minutes walk, 15 minute run for 90 minutes. My run on Sunday was two sets of 9 x 20 second hill repeats. I did finish up about 10 minutes short of the scheduled workout only because I walked the entire thing with the exception of the hill repeats and I skipped the second 10-minute run. I should have looked like: 15 minute walk, 9 x 20 second hill repeats, 10 minute run, 9 x 20 second hill repeats, 10 minute run, and 5-10 minute walk. Overall I had a great week and very happy with the outcome. I think I am going to drop the swim workouts on the schedule until I decide to actually start swimming again. It has been a rough 2-weeks where I didn't do many of my workouts for one reason or another. Today it is time to get back on track and get rolling again. Week 4 I had some tight hip flexors and when I was trying to stretch them I think I over did it a little as I felt a sharp pain in my surgery knee. I was extremely worried about it initially. The rest of the day and into the following day every now and then I would get a sharp stabbing pain. I did end up testing it out and went for my run workout, although shorter, I was able to run on it again with virtually no pain. And again occasionally I would get a sharp pain. Week 5 was a disaster of a week training. I skipped many workouts or just stopped after getting started. I struggled to get up and get my workouts started. Most morning I was up and ready to go but just mentally struggled to get going. Sometimes the constant nagging pain and swelling just gets on my nerves and I wish I was where I was 10 years ago. I just want to be able to run 10 or 15 miles. I have to keep reminding myself I am where I am and I am in better shape physically and in less pain than I was a year 8 months ago. ​Now to get over myself and get back on track. Day 4 was an hour ride and 25 minutes in mid-zone 3. 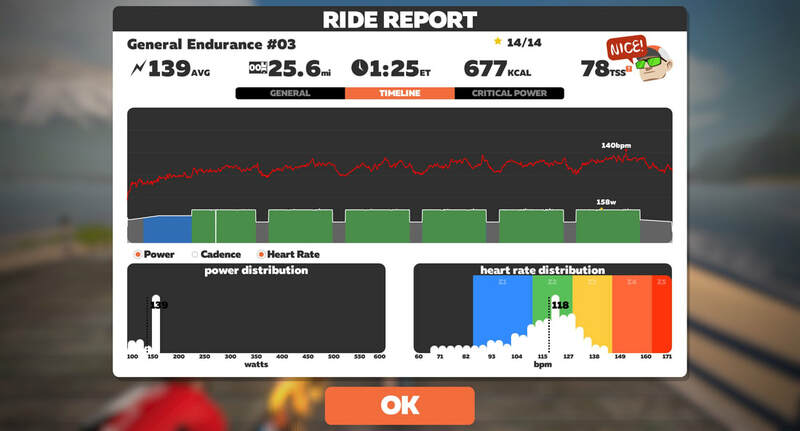 It consisted of 6 x 10 minutes in zone 3 riding at a cadence of 90+ and every 3rd minutes I would drop cadence to <65. I felt pretty good during this ride. My legs were a little heavy and was they were a little sore during the last 10 minute set. I gotta stretch more. I think the running has been playing havoc on my legs since I haven't really run in months until recently putting in more time truly running. I missed yesterdays workout. I was up early but just didn't have the desire to workout so I ended up skipping the day. I thought about making it up today along with todays run but I decided not to do it. Today I went out for an endurance run at 15 minute walk, followed by two sets of 12 minute run, 12 minute walk. Again I set a PR for the 5K distance. I am gradually feeling better every day I run. I felt pretty darn weak and out of breath when I started running this morning. My heart rate spiked early and then settle back into a normal zone. I finish both 12 minute efforts at a 9:00 pace, +/- a few seconds. Was able to get the workout as in described this morning. 30 minutes on the bike for a warm-up and then transition into my normal strength training routine of 3 circuits with 7 exercises. 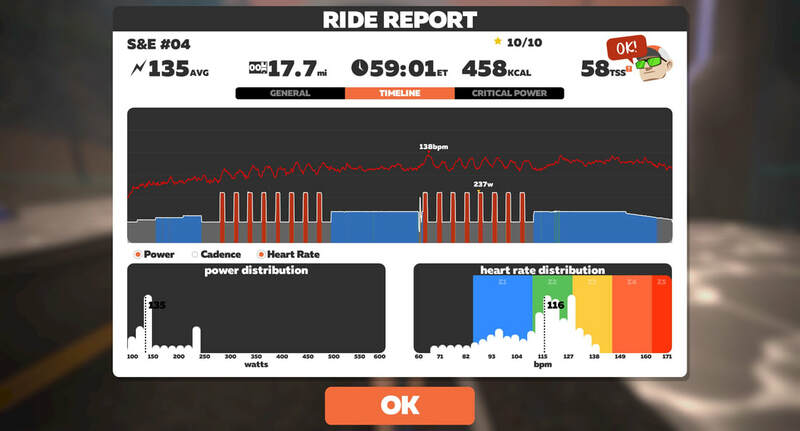 I rode on Zwift, New York course for the first time. I didn't care for the virtual trail in mid air. I will try again tomorrow on a different route. My knee was hurting a little after getting off the bike but once I transition to strength training it all went away. Not sure what was going on. Today I will see the surgeon for my 6-month follow up on my total knee replacement. I am excited to see the X-rays. Once again I was lazy and never made it to a pool. I did add 30 minutes cycling warm-up to each strength training workout. I fell short on the second strength training workout. I just wasn't feeling the best and my heart and mind wasn't in it so I stopped early. Other than that I had a great week and am feeling much stronger on the bike and run. Below is the stats for the week. Today I went out on my "Long Run" and put a few more PRs on the list for 2018, post total knee replacement. I went 15 minute walk, 10 minute run and repeat. I went out 40 minutes and turned and headed back. I hit multiple PR at the longer distances, 5 miles and 10K. Today was also the furtherest I have gone since my surgery. I loved todays workout. I am definitely getting some of my strength and endurance back. I think it is almost time to do another FTP test as these workouts are starting to get easier. Todays workout consisted of two rounds of 8 x 30 seconds in Zone 5 followed by 10 minutes on the top side of Zone 2. I did this workout a week or so prior to actually starting my training and I struggle through the Zone 5 efforts. The knee if feeling stronger every day and I am working hard on proper biomechanics. Prior to surgery my knee would flare out at the top of the pedal stroke due to both pain in my knee and hip. It became a natural stroke and the muscles adapted and now I have to retrain my muscles to keep the knee aligned over the top of the stroke. Today was a struggle despite getting plenty of sleep. I hit snooze twice which is unusual for me. I managed to roll out of bed and get the day started though. I don't think my mind was where it needed to be. I jumped on the bike for a 30-minute warm-up. No issues on the bike. In fact, it felt great and the legs loosened up quite well by the end of the 30 minutes. Then off to strength training. It is an easy 20 minute session with 3-circuits of 7 exercises. I struggled from the start. The second exercise, 60-seconds plank, I stopped at 30-seconds. Then I just struggled to make it through the remainder of the circuit. Second time through, same thing with the plank and the third time I just wanted to quit, form was off on the first exercise so I decided to stop before I hurt myself due to improper form. You gotta know your body and your mind. If you are doing a workout and you form goes and you can't correct yourself for one reason or another, it is better to stop than continue with improper form. It is better to run ten 1/4 mile sprints with proper form than to run 20 and hit your times but your form was incorrect for the final 10. Quality is much better than quantity with poor form.